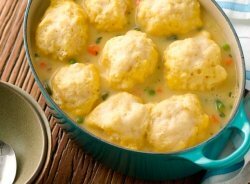 Try this turkey dumpling soup for a hot and tasty way to use up you Thanksgiving leftovers. Remember to take the turkey skin off first (and use breast meat only) and then this recipe will be lower in SmartPoints on the WW Freestyle plan. This is a crock pot meal so you can start it in the morning and it will be ready at dinner time. Make up a quick tossed salad and grab some of your leftover dinner rolls and you have a complete meal. This recipe is not just for around Thanksgiving time. Pick up a turkey breast at the store and have this any time of the year. Dice tomatoes, celery, carrots and onion. Place the turkey broth into the crock pot. Add the diced tomatoes, celery, carrot, peas & onion in the crock pot. Sprinkle in 2 t of the dried parsley and put in the bay leaf. Cover and cook on the low temperature setting for 6 hours. Place the turkey meat into the crock pot, cover and cook on low for 1 hour. In a large bowl, add flour, baking powder, salt, rosemary and parsley. Cut the shortening into the dry ingredients with a pastry cutter until the mixture becomes coarse. Add just enough of the milk to the flour mixture to moisten it but leave the mixture thick enough to make mounds with a spoon. Drop the mixture by spoonfuls into the crock pot. Cover and put temperature setting to high and cook for 20 without lifting the lid. Nutrition facts shown below are per serving. 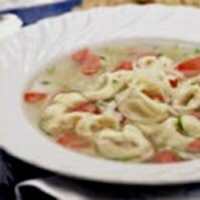 The number of servings for this turkey dumpling soup is noted in the header section below. The serving size is the first item noted on the nutrition facts table. The turkey breast and vegetables were not included when calculating the FreeStyle SmartPoints. All other points do not include the veggies. When adding the milk to the flour mixture just add a little bit at a time. This will help in making sure the dry ingredients are moistened but still remain thick. If you don't have a pastry cutter, just use a couple of butter knives. Here's some ways to turn your Thanksgiving leftovers into some interesting recipes. This soup is simmered with bits of zucchini, red bell pepper and chunks of tomato to give you lots of flavor. 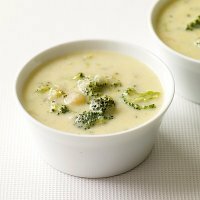 The creaminess of this soup makes for a great side dish that will compliment any main dish you serve tonight. 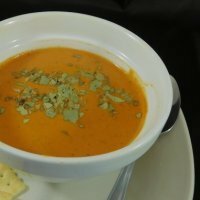 This tomato soup will fire up your taste buds. Made with fire roasted peppers and tomatoes, you will be warmed up to the bone. 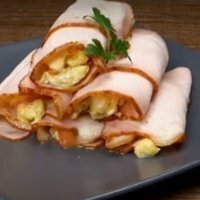 By using turkey breast to roll up the cheese and eggs, this one has fewer FreeStyle SmartPoints. 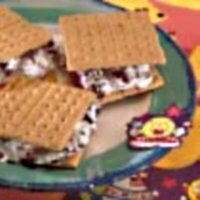 You won't need a campfire to enjoy this dessert. Just use the microwave and enjoy that tart and sweet tastes. 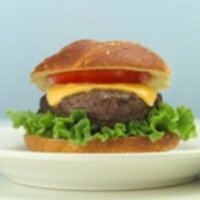 If you are looking for a quick, easy grilling recipe, then try this simple turkey burger. Find out how many carbs, protein and fats you should be consuming based on your daily calories needs with this free online calculator. Are you counting carbs instead of WW Points? Then make sure you are eating the right carbs and make them count towards your dietary needs. Read this article for tips on how to curb your appetite so you can reach your weight loss goals.